Free Downloads - Pop! Bang! Boom! Steve Aoki has released a free ONE HOUR mixtape full of the best music…for New Year’s Eve. Yeah, it is several months late, but music is music is music. Aside from Aoki, the mix features the likes of Infected Mushroom, Tiesto, Kill The Noise, and Nagger Dimas (and then some). I won’t really say anything else – just download it. MTV has released a free compilation to Amazon for a limited time, and if you thought you were happy getting ONE free song, just wait til you see this one. You can get the entire album (and ONLY the entire album) 100% for free by clicking here. Not convinced yet? 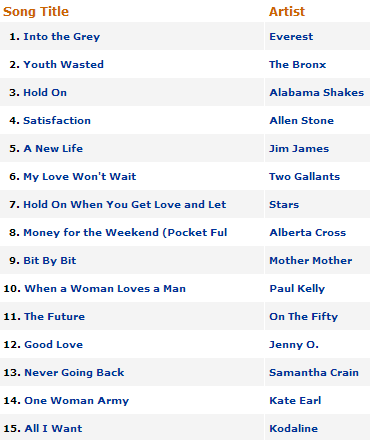 Check out the tracklist below. Now tell me you don't wanna copy of this right hereee. 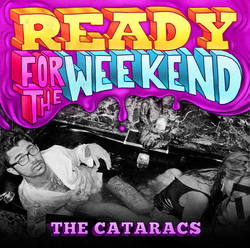 The Cataracs - "Ready For the Weekend (ft. Icona Pop)"
The Cataracs are one of the most party-ready production duos out there, and this new track is nothing less than a firestarter. "Ready for the Weekend" features a cameo from another dance duo - Icona Pop - two girls from Sweden who are about ready to take over the world. If you haven't heard of either of these two, this is a pretty good introduction, as well as a great free track. Norwegian producer/remixer Mats Gulbrandsen has released his remix of Fedde Le Grand & Nicky Romero's Matthew Koma-featuring "Sparks". The track is great to begin with, and the remix is stellar. And it's free? DONE. Click here to like Mats on Facebook and get access to everything he's got to offer, including this lovely little ditty.